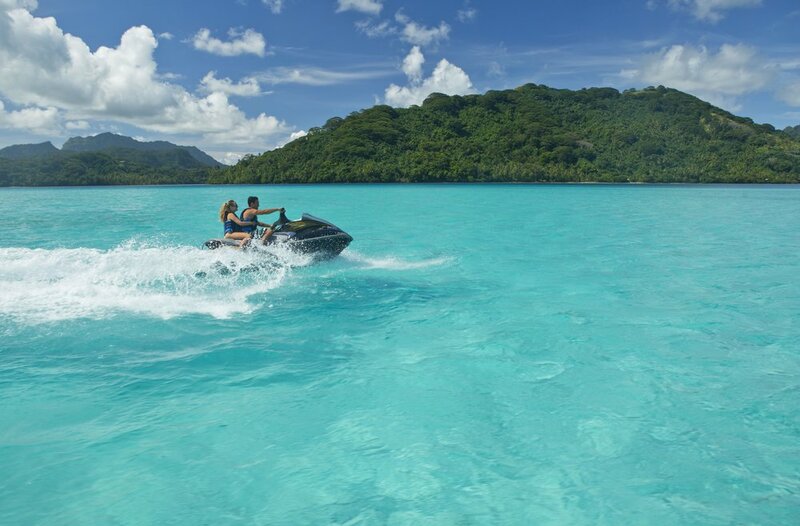 It’s no surprise that there is an array of water activities to suit beginners, water babies, and everyone in between across The Islands of Tahiti. For those who would prefer to enjoy the pristine oceans without getting too wet, enjoy a glass bottom boat tour, speed around the islands on a jet ski, or test your balance on a paddleboard on the lagoon. Want to dive into the diverse and abundant marine life instead? There is no shortage of underwater adventures for you to try. Grab a snorkel and dive your way through the beautiful reefs, exploring the sea life as you go.If you really want to experience something incredible, consider a shark and stingray tour that lets you experience these mysterious creatures up close. If exploring lush greenery is more your style, the variety of land-based activities on The Islands of Tahiti are for you. 4X4 adventures allow you to take in the beautiful landscape of the islands in an unconventional method. Some of these tours will focus on the mountainous landscape and history of the islands, while others will take you to breathtaking viewpoints (look out for the sunset tours!). Don’t forget about the hikes on offer! With fantastic vantage points throughout the islands, you will be able to find a beautiful location to hike to wherever you are staying. Some hikes can be completed solo, or opt for a guided tour and discover your surroundings with a local Tahitian guide. Tahiti Nui Helicopters are the perfect way to witness the beauty The Islands of Tahiti has to offer from a new perspective. Choose between a variety of durations and stunning locations across the islands to view from the sky. Fire dancing is embedded in Polynesian culture, which is why it is a must see experience when visiting Tahiti. Traditionally these dances were used as a warrior ritual of intimidation, or as a method of communicating with divinities to give thanks. However, today they are performed to visitors either by a lone performer, or in a group, displaying incredible fire stunts and intricate movements. The four elements of water, earth, air and fire are all around The Islands of Tahiti – now it is your turn to uncover them yourself.